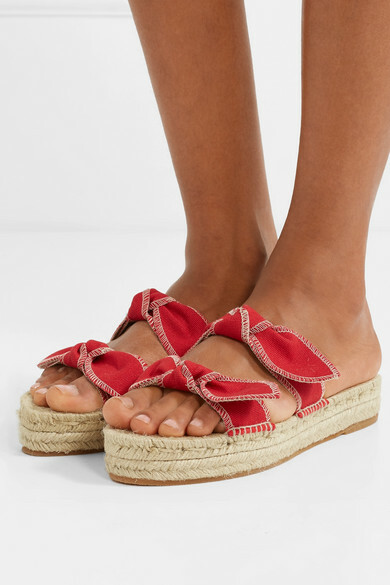 Loeffler Randall's 'Daisy' espadrilles are exactly what you'll want to wear all summer long with dresses, cropped jeans and shorts. 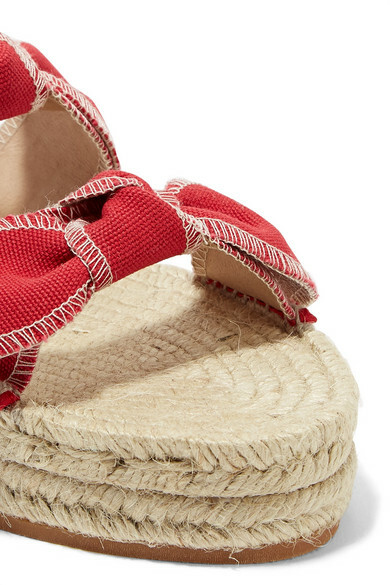 Grounded by jute soles, this comfortable pair has been made in Spain from soft red canvas with contrasting white stitching. 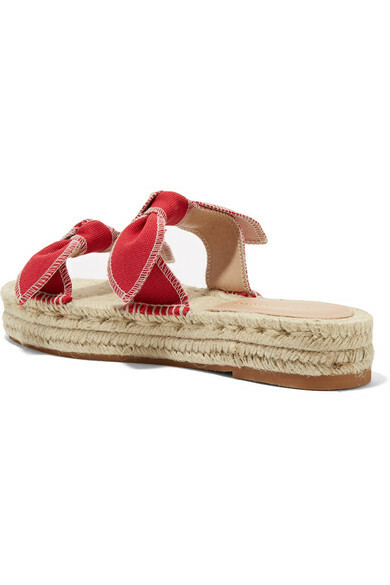 The leather-backed straps are detailed with dainty knots. 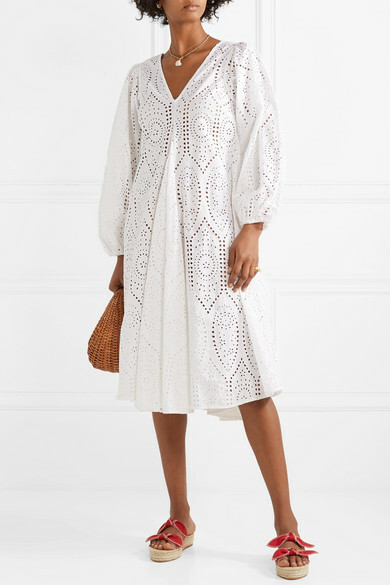 Shown here with: GANNI Dress, Loeffler Randall Tote, 1064 Studio Ring, Alighieri Necklace.